Plantains are my comfort food. After my second failed attempt at making Cuban bread this afternoon (so near, yet so far), I wanted something sure. When my new Food Coop friend Jennifer described the Puerto Rican style plantain pie she makes when her daughter’s home from school, I had to try it. I’d seen different versions of the pie that used fried plantains and cheese. 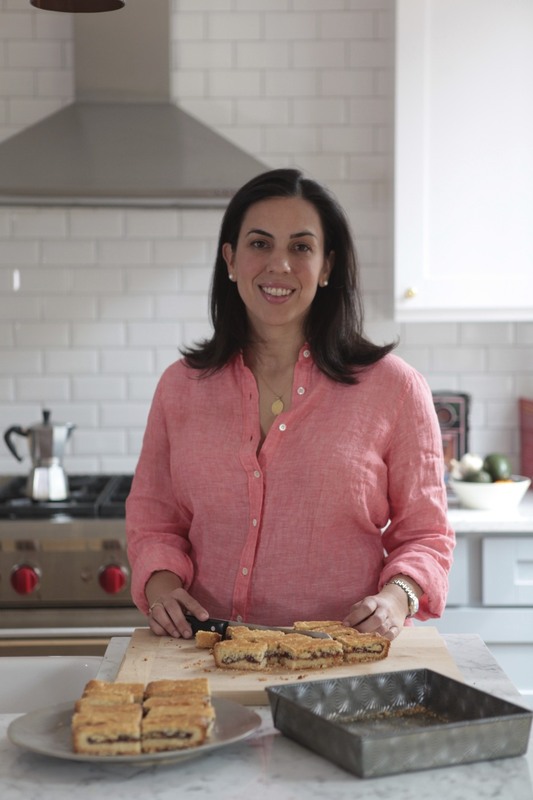 Jennifer bypasses both to make this healthier version with mashed, boiled plantains that bring out the sweet and savory flavors really well. I used picadillo clasico as the filling which worked well, but stewed chicken or ropa vieja can also be substituted. It was also great for lunch the next day with some crumbled queso blanco and crackers. Slice the plantains into 2-inch chunks leaving the peels on. Put plantains in a heavy saucepan with enough cold water to cover. Bring to a rolling boil. 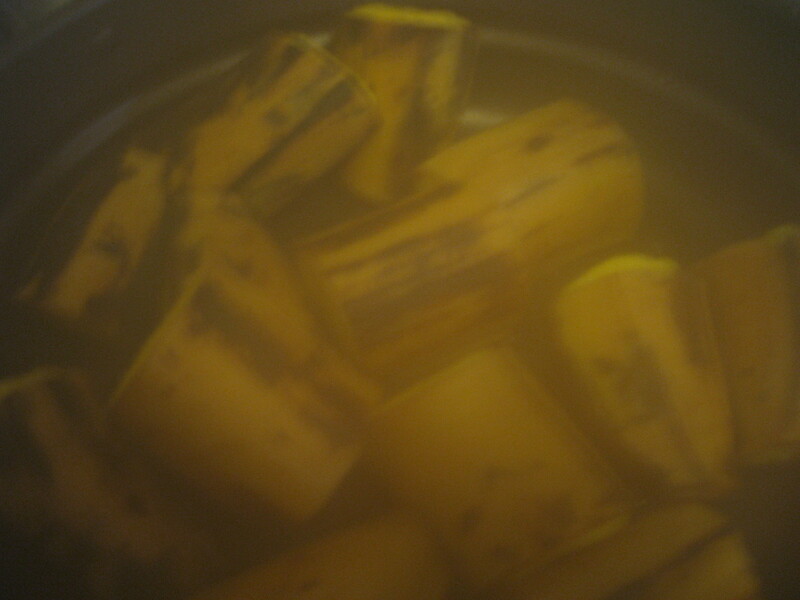 Lower to medium heat and simmer covered until the plantains are tender and peeking out of the peel, about 10 minutes. Drain and peel. In a separate bowl, mash the plantains with the flour and 1/2 tablespoon of butter until well blended. Use a rubber spatula to line the bottom and sides of the dish with the plantain mixture leaving aside a small amount to cover. Add the picadillo and smooth remaining plantains over the filling. Dot with remaining 1/2 tablespoon of butter and bake for 25-30 minutes until heated through. Add peppers and sliced olives to top and serve immediately. This sounds and looks delicious. I’m such a “platano head”. I prefer the kind that isn’t sweet though. Out of those you can make something similar to this dish called “mofongo”, which I adore. You should look it up if you are ever in a Dominican restaurant.